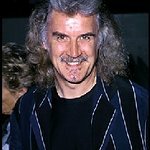 Scottish comedian Billy Connolly has announced that he will perform a special charity show in Brisbane in February to raise money for victims of Queensland’s devastating floods. The show will take place at the Brisbane Convention Centre on February 13, with all proceeds going to the Premier’s Disaster Relief Fund. Special commemorative T-shirts will also be sold to raise funds, and free tickets to the show will be given to “the valuable workers from the SES and defense force” in thanks for the hard work they have endured during the floods. Tickets to the show cost $99, and are available through Ticketek Australia.